Today is the International Day of Peace, a day designated by the United Nations General Assembly as one dedicated to “strengthening the ideals of peace, both within and among all nations and peoples.” I’m joining in with people from around the world to share a moment of peace with you. May you find your way to peace–at least for a few moments–today. The more I take a step away from the hectic pace of life to meditate, the more I see how that peace from meditation stays with me in all my activities. Whatever meditation means for you, go there. Maybe that means taking a walk, looking at the brilliant colors of autumn, listening to the wind or gazing at the clouds. Or perhaps it means sitting meditation. Or maybe you get into that quiet space when running or doing yoga. It’s all good. That’s the start of finding your own way to peace. The impact on your life is immense, but the impact on the world is unlimited! 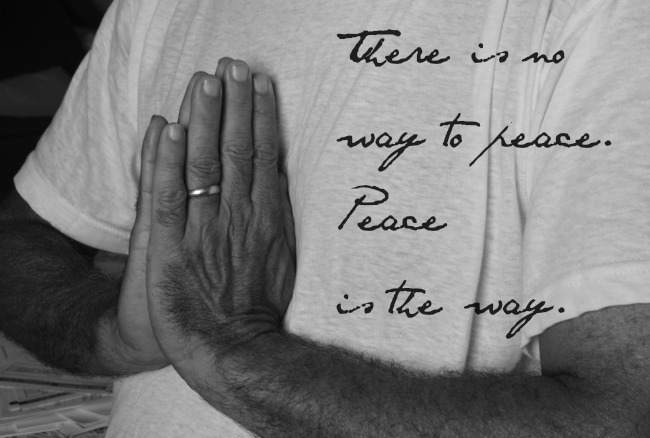 If you’d like to join in the International Day of Peace, check out the World Peace Global Meditation on Sunday, September 21, 2014 organized by Unify.org. September is usually a very busy month with work and catching up after the summer, and especially so this year after traveling to America to visit family in August. In my free moments, which are already few and far between, I’ve been working on updating some things behind the scenes and adding a few new features for Ciao Amalfi to make the blog far more accessible. 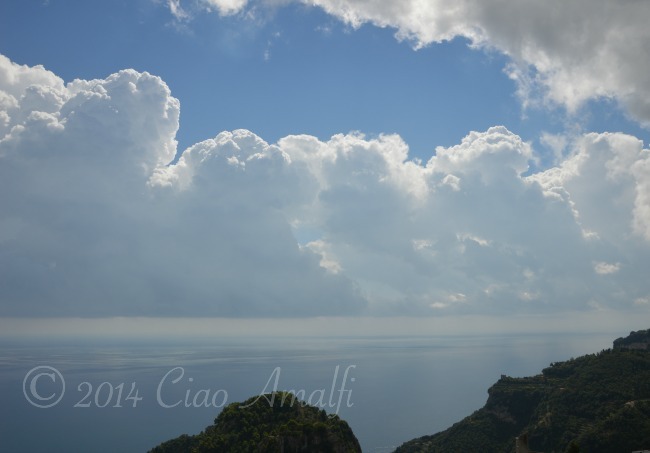 In the meantime, the Amalfi Coast has been putting on quite a show of its majestic landscape. Last week was stormy, which brought with it some spectacular views courtesy mother nature. Watching big storms pass by out at sea is a remarkable experience. 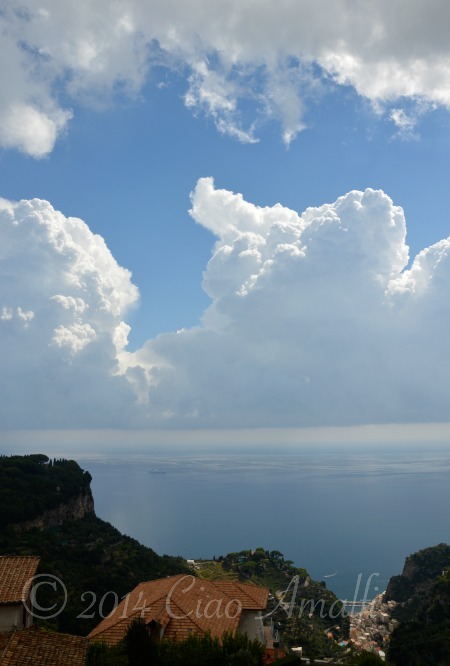 When I took these photos there was lighting in the distance toward Salerno, but over Amalfi, Atrani, Ravello and Scala the sun was shining. 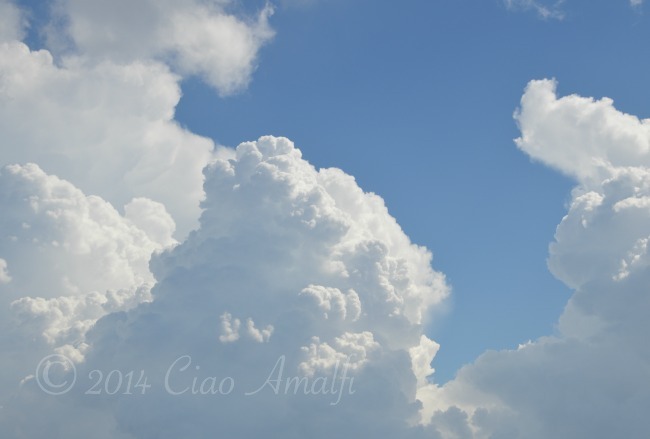 You could get lost in the big white clouds, which is precisely what I did for a little while. But then it was back to work time! 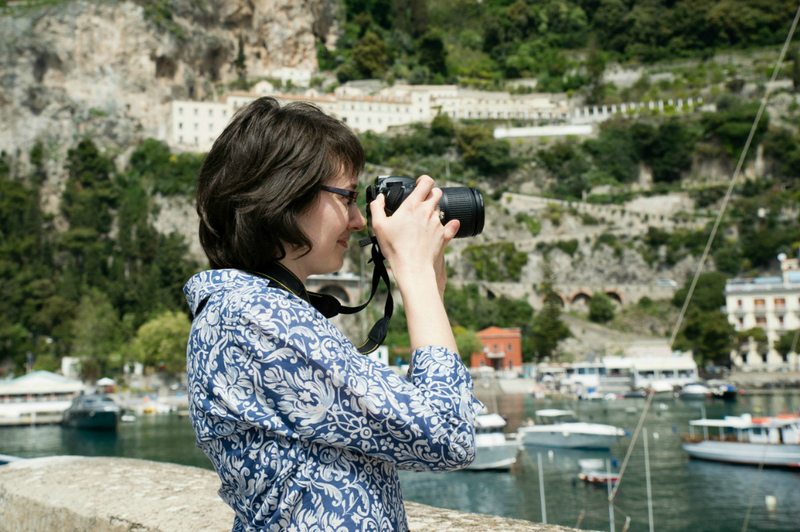 This video is for all of you who love the Amalfi Coast. You know who you are! 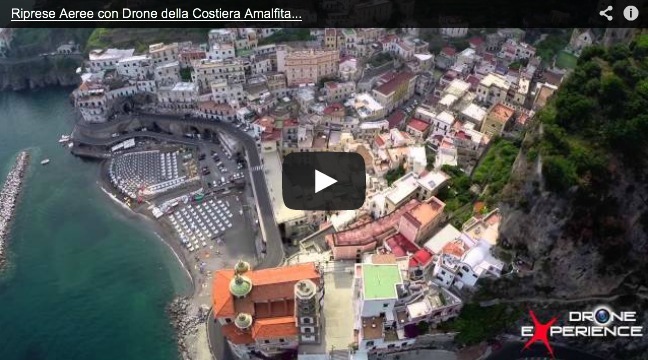 This stunning aerial footage by Drone-Experience shows Salerno and along the coastline and really highlights Atrani and Amalfi with gorgeous shots. Enjoy! There are so many ways that the poet Mary Oliver has captured beautiful moments of life in her work, but this excerpt from her poem “Sometimes” is perhaps my favorite. It has that slap you in the face simplicity and speaks a truth that really resonates with me. So few people pay attention to what happens in life – from the simple little things that can bring joy to those experiences that can change our lives if we let them. 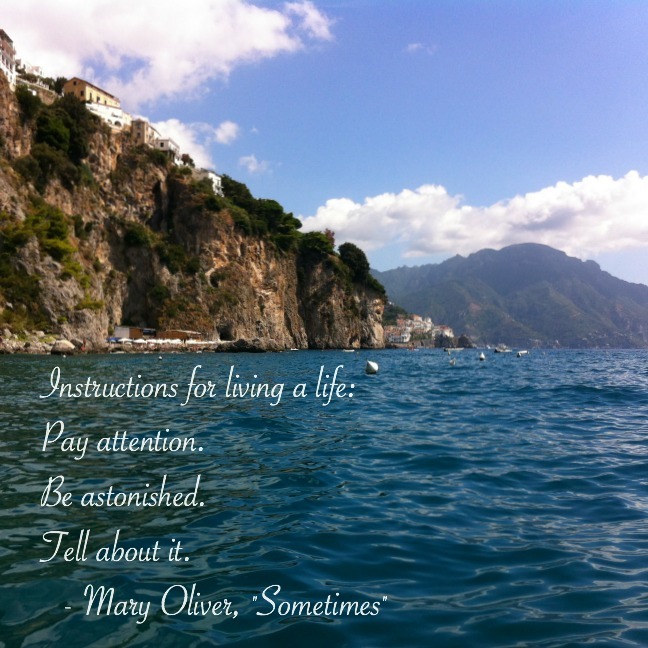 If you pay attention, it’s easy to be astonished. If you pay attention, it’s impossible to be bored. If you pay attention and are astonished, the drive to tell about it is second nature. For some people that comes through writing, photography, art, music or any other form of creativity. Or maybe it’s just telling a good bedtime story to your kids or sharing what happened yesterday on your walk with a friend. These are the things we remember. So, what do you have to tell?